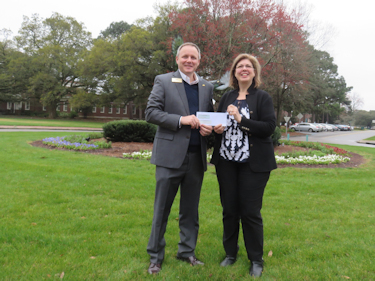 The Wilmington Art Association Community Outreach Program offers “art related” assistance to the Cape Fear Region by providing scholarships, sponsoring art related programs and special events as well as donating funds to art related organizations. The program is dedicated to promoting, supporting and fostering creativity in the visual arts. 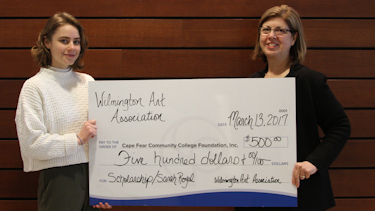 This an ongoing commitment of the Wilmington Art Association, and we are grateful to be able to give back to our community. 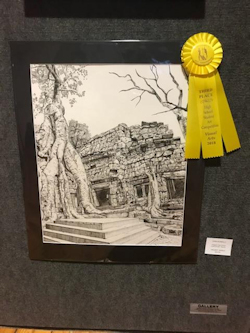 The WAA Community Outreach Program sponsored the 2018 NHC High School Student Art Competition in conjunction with the Orange Street Art Fest during the Memorial Day Weekend. 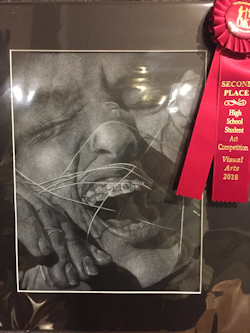 Area high schools choose their best students' work in 2D and 3D Visual Art. 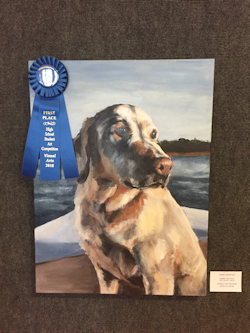 These works were entered into the art competition at the Hannah Block Center. 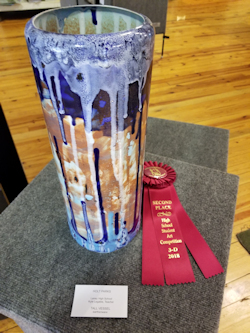 The winners were announced at the reception on Thursday, May 24 from 6-8 p.m. at the Hannah Block Community Center on 2nd and Orange. 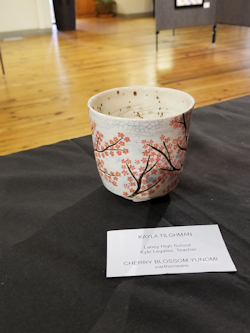 Work was on view May 24 - 27. "Barley on the Bow" "Trapped" "Ancient World"
"Cherry Blossom Yunomi" "Tall Vessel" "Shifting"
The Wilmington Art Association (WAA), through their Community Outreach Program, coordinated by Sheryl Swanson, recently awarded their annual Scholarships to two students, one from UNCW and one from CFCC. 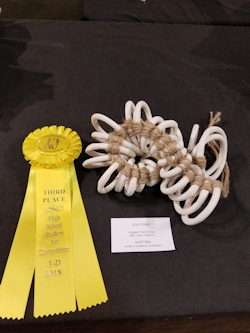 Both students are pursuing a career in the Arts. WAA is dedicated to assisting students in their endeavors to pursue a career in one of the many diverse areas in the Arts. Pictured below are Sheryl Swanson (WAA) with Beau Cummings (UNCW) on the left and Sheryl Swanson (WAA) with Sarah Royal (Cape Fear Scholarship recipient) on the right.